Last month when I shared my Mini Red Velvet Donuts over at Lil' Luna, I mentioned that I had never tried anything red velvet before! After making (and eating) those delicious baked donuts I decided that the next thing I needed to make was cupcakes! 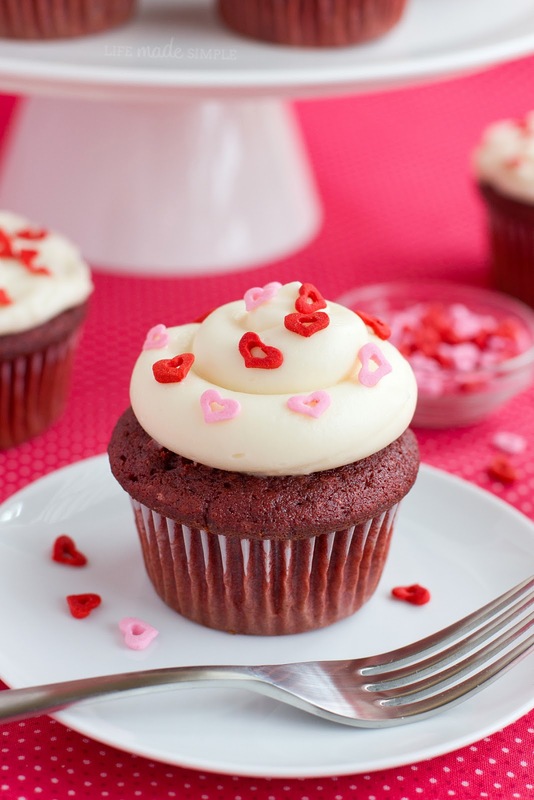 Red velvet cupcakes just seem like a classic Valentine's Day treat to me. I wanted to stick with traditional cream cheese frosting but didn't want it to be runny or soupy. So I did a little research and created a recipe that isn't loaded with sugar and can be easily piped. Too good to be true? It's not! I've got a few tips and tricks that will help keep this frosting tasting as good as it looks! But first let's talk about what's under the frosting. The cupcake is buttery and moist with a subtle hint of cocoa. It's got a good amount of food coloring in it to help give it that distinct red velvet look. As much as I hate food coloring, there's really no way around it. If you don't mind it being less vibrant it's ok to cut back a bit or if you'd rather use beet juice that's an option too. Once the batter is all mixed up, you're going to want to make sure that you fill the liners ¾ of the way full. I love my #20 scoop for this- it ensures that all of your cupcakes will be the same size. I think it's roughly 3½ tablespoons. 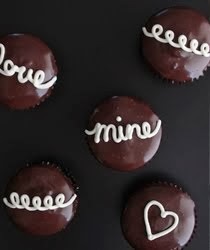 Since these cupcakes are nice and tender, they'll look a bit underdone no matter how long you bake them, so be careful! I checked on mine at 18 minutes but left them in until 22 minutes had passed. While they're cooling you can start prepping the frosting. And just remember, less is more! I said less is more right? That's a good saying to keep in mind when making this frosting. To start you're going to want to make sure that your butter is at room temperature. You'll cream it with the salt and vanilla and then you'll slowly add the powdered sugar. It's going to look a bit like fondant, really firm and clumpy. Then you'll put in the cream cheese and magic will happen... but only if you're careful. First use your paddle attachment. Next make sure your cream cheese is cool but not cold. I found that letting it set out for about 30 minutes is perfect. Once you put it in the bowl of your mixer turn it on to the lowest speed and mix for 1 minute and 30 seconds. Then stop! DO NOT OVERMIX. Place it in the refrigerator to chill for a good 15 minutes which will help it stay nice and firm while your piping it with your warm hands. All that is left now is to garnish with sprinkles and enjoy! I hope you'll love these as much as we did! 1. Preheat oven to 350 degrees. Line one muffin pan with liners, set aside. 2. In a small bowl, combine sour cream, buttermilk and vinegar, mix together. 3. In the bowl of a stand mixer, cream butter, sugar, vanilla and food coloring until light and fluffy, about 2 minutes. With mixing speed on low, add eggs one at a time. 4. In a medium size mixing bowl whisk together cake flour, cocoa powder, baking soda and salt. With mixing speed on low gradually add dry and wet ingredients, alternating one at a time. Continue mixing just until the batter is smooth no flour pockets remain. 5. Scoop batter into prepared muffin pan filling liners ¾of the way full. 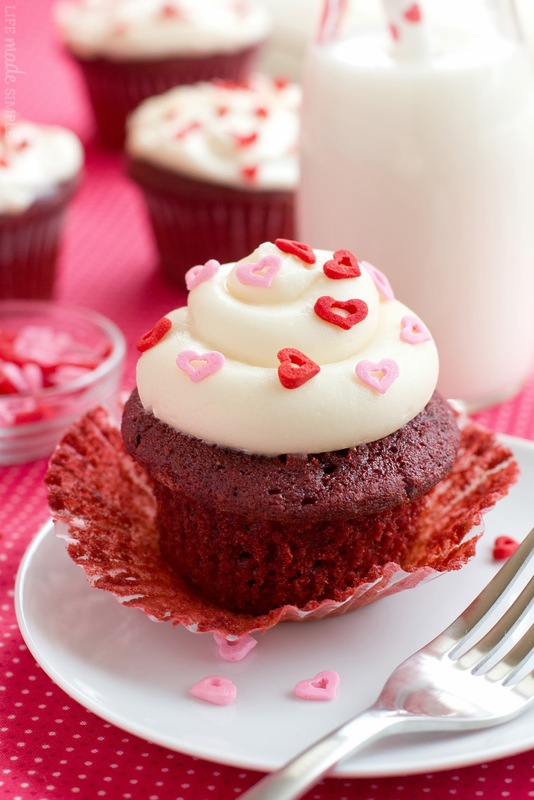 Place in the oven and bake for 18-22 minutes or until the tops spring back and a cake tester inserted into the center of a cupcake comes out clean. Remove from oven and allow to cool in pan for 3 minutes before transferring to a wire rack to cool completely. 6. Meanwhile to pepare the cream cheese frosting, using the paddle attachment cream the butter, vanilla and salt for 2 minutes or until light and fluffy. With mixing speed on low gradually add the powdered sugar, beat until it forms a fondant-looking ball. Add cream cheese and mix on the lowest speed possible for 1½ minutes, then STOP! 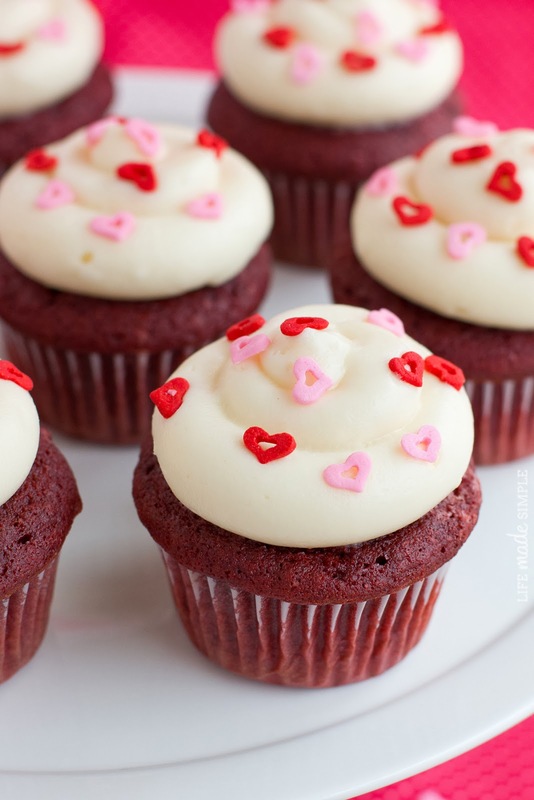 Place in refrigerator to chill for at least 15 minutes or until cupcakes have completely cooled. 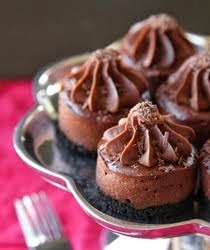 Allow to stand at room temperature for 5 minutes before placing in a bag to pipe on cupcakes. Top cupcakes with desired sprinkles. NOTE: This recipe easily doubles to make 24 standard size cupcakes. 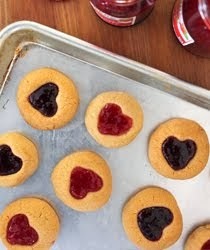 They look amazing Natalie, I just love those big heart sprinkles, so fun!